The Citizens Advice service provides free, independent, confidential and impartial advice to everyone on their rights and responsibilities. For online advice please click on the link below. Shelter believes everyone should have a home. Shelter help people find and keep a home and campaign for decent housing for all. They run a free housing advice helpline 0808 8004444. 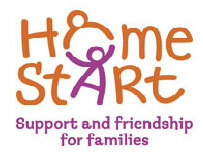 Home-Start helps families with young children cope with problems in their lives. Being a parent can be rewarding but it's not always easy! Add in pressures such as illness or financial worries and without the support of families and friends the stress can seem overwhelming. Home-Start understands the difficulties that many families face and offer support, friendship and practical help to families with at least one child under the age of five. Plan B is a free drug and alcohol service for young people aged 13-19 in Bedfordshire. PLAN B’s aim is to provide information, education, advice and treatment to young people in relation to drug, solvent and alcohol use as well as related issues. Addaction is the UK's largest drug and alcohol treatment charity. The website contains useful downable guides including a guide for parents. Citizen-Zone provides easy access to public services in and around Bedfordshire.To save you time our portal acts as a gateway, a sophisticated search engine, to a wide range of Bedfordshire related websites providing public services, giving access to local councils, health services and emergency services. This web site will keep you up to date with the latest news and information from Leighton-Linslade Town Council. Handy advice to stop you having problems. If something has already gone wrong, there is lots of useful and practical advice to help you. Friends After Bereavement has recently been set up for young people aged 13 – 25 who have lost somebody and are looking for support and friendly faces, who are or have been in a similar position. Losing somebody is hard, this group has been established to give great support to help young people get through.